Genealogical research related to Portland area family histories is among the most frequent uses of Portland Room materials. Our genealogy sources are focused on the Greater Portland region, though we also continue to develop our collection of town histories throughout Maine, printed vital records, and the best in online resources. The Portland Room staff conserves archival artifacts and offers an array of documentation about the life of Portland including its residents, activities, businesses, and the physical attributes of the city. The Portland Room staff manages the Portland Room, which is a welcoming research space, and is an active community partner with local researchers, educators, archivists, historians, and educational institutions serving all age groups to preserve and tell Portland’s narrative history. The Portland Room offers printed books to assist with genealogy research, such as the serial runs of The New England Historical and Genealogical Register, The Maine Genealogist, Mayflower Families, and Downeast Ancestry. Additional genealogical reference sources among our collections include Maine town and county histories, and published works focused on specific family lines. The Portland Room also houses a full set of Portland City Directories, from 1827 to the present. The directories list all Portland residents and businesses, by year. Beginning with 1882, the directories include street number listings with corresponding residents. Many entries also list residents’ occupations. Microfilmed Portland newspapers, from the late 18th century to the present, include the complete runs of the Eastern Argus, the Portland Press Herald, and the Evening Express, among other titles. Microfilmed Maine Vital Records, from the Maine State Archives (pre-1892 through 1955) include Maine birth, marriage, and death certificates. 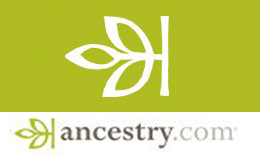 Search AncestryLibrary.com for census, immigration and other family records. 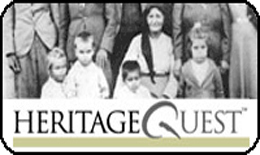 HeritageQuest offers genealogy information, including census data, local history articles, revolutionary war records and more. Available in the library, or from home with your library card number. MyHeritage Library Edition contains internationally diverse genealogy databases. Access to billions of historical documents, millions of historical photos and resources that span the past five centuries. Remote access from home is allowed and it is and a mobile-friendly.